Oneworld is the perfect venue for any event. Whether it be a corporate party, wedding, anniversary or a milestone birthday let us take care of all the finer details leaving you to relax and enjoy the moment on board. A wedding is that once in a lifetime event that HAS to be perfect. We spend a lot of time and effort preparing ourselves mentally and physically for the big day why not take one less thing off your mind by entrusting Oneworld as your luxuriously exclusive venue. With the capacity to take up to 100 (Sydney Harbour) or 85 (Whitsundays) of your closest family and friends Oneworld can cater for your entire day. Take a luxury cruise between ceremony and reception, exchange vows on the bow of the yacht or dance the night away with fabulous food and wine there is a package to suit everyone. 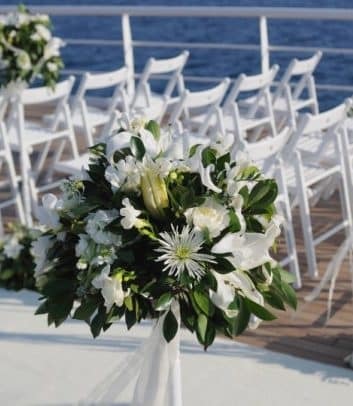 Working closely with you and your wedding planner from start to finish the crew on board are there to make sure everything goes off without a hitch. We offer delicious catering and beverage packages on board and can tailor the menus to suit your individual needs and requests. Oneworld is available for your wedding in Sydney (Nov – July) or in the magical Whitsundays (Aug – Oct). For Corporate events that require opulence, luxury and 6 star service look no further than Oneworld. With the ability to accommodate up to 100 guests (Sydney Harbour) or up to 85 guests (Whitsundays) (hourly charters only) means everyone gets an invite. WOW your clients and employees as Oneworld gently cruises alongside the Opera House, under the Harbour Bridge or down Whitehaven Beach. Oneworld is available for event charters in both Sydney (Nov – July) and the Whitsundays (Aug – Oct). 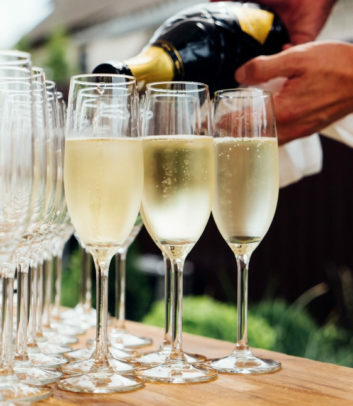 Catering and beverage packages make entertaining an effortless affair leaving you no choice but to relax and mingle while the professional crew on board take care of everything. All event charters can be tailored to your individual needs and requests just get in contact with us to begin planning your next corporate event. Indulgent holidays need not to be reserved for Paris, London or the Maldives. On board Oneworld no matter where you are luxury and opulence are a daily affair. 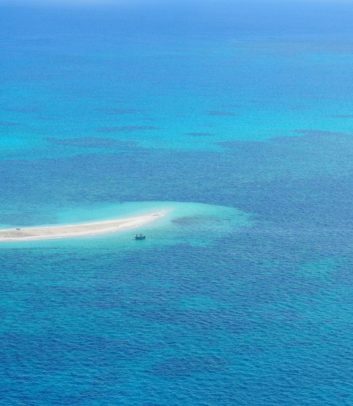 With Australia’s expansive eastern coastline means Oneworld experiences ‘summer’ all year round. Available for term charters in Sydney from Nov – July as well as in the Whitsundays from August – October. All you have to do is choose which destination! Perhaps both? All itineraries can be tailored to suit your needs so contact us so we can begin creating your perfect luxury yachting holiday.